Hiking has become my newest favorite pass time. I have always loved the outdoors but with my busy life I was not able to get out and smell the wild! Every year we would hike while on vacation but when I got home I was always busy doing something else. Now I plan my hiking adventures. I am super lucky - I have two friends that also love to hike. This past weekend we spent time with our grandchildren hiking the National Park Ice Age Trail. 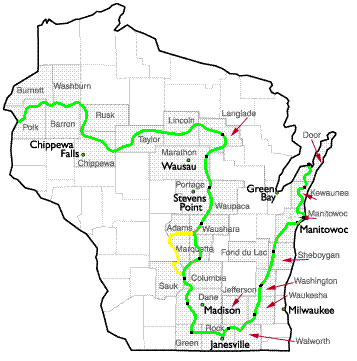 Wisconsin has 1100 miles of the Ice Age Trail - beautiful country. We had a blast! Life does not get much better than spending quality time with family and friends. What is really nice is that the IAA sponsors weekly hikes. I have joined them on the Wednesday at 10:30am hikes. They also offer a scheduled Tuesday 4pm hike. They offer special hikes - Davey & I enjoyed the Owl Nite Hike - we were guided by the light of the Snow Moon. Very fun evening hike. Every event I have met a great group of hikers. 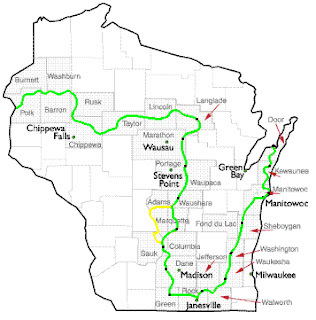 The Ice Age Alliance is a group dedicated to preserving the Ice Age Trail. They do a excellent job of organizing hikes and caring for the trails. Here are a few pics of Lake LaGrange on the Ice Age Trail. To have 60 degrees in February was a dream come true.